Australia-born Marc Brew, 40, took the helm this spring. 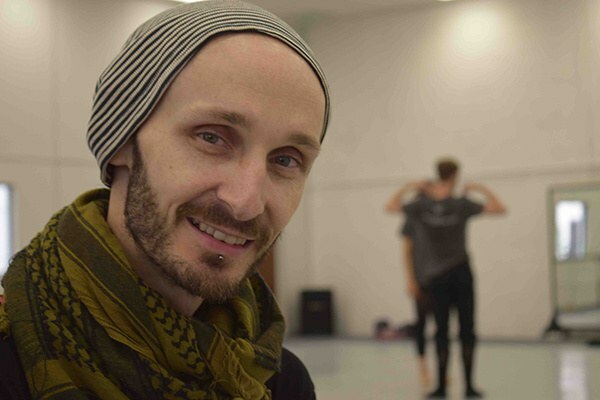 A dancer, choreographer and filmmaker, Brew trained at The Australian Ballet School and was a 20-year-old professional dancer when he was paralyzed from the chest down in a car accident. He went on to form the Marc Brew Company and choreograph internationally; he made Full of Words, his well-received first AXIS work, in 2011. "Marc knows the non-disabled dance world and the disabled dance world," says AXIS co-founder Judith Smith, who served as artistic director since 1997 and will continue in a new role as director, focusing on development and national advocacy. "Those qualities don't come along in a package very often, especially at the artistic level that Marc operates at." Marc Brew. Photo by Ruth Mills, Courtesy AXIS. Expanding artists' horizons is among Brew's top priorities. "Historically, disabled dancers came into dance through improvisation and contact work, because it wasn't about having to make specific shapes or techniques from an able-bodied version," he explains. "But disabled dancers want to learn what is ballet terminology, what is Cunningham terminology, and how does it apply to my body?" Brew also hopes to put AXIS on the international map with a possible 2018 UK tour and a collaboration with Australia's Expressions Dance Company. Along with creating and commissioning original works, going forward AXIS will spearhead more public outreach and training for disabled dancers, choreographers and teachers. And after an October 26–29 home season in Oakland, the company will make its way to New York City for a November residency at Gibney Dance, which includes a choreography intensive, master classes, town halls, teacher workshops and a performance series.